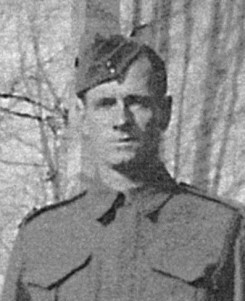 George Campbell of Lot 9, Concession 7, married Jean Rankin in Woodstock, in 1922. He enlisted in London, Ont., in September 1942, and trained at barracks on the corner of Douro and Trinity streets in Stratford. Then he served with a hospital unit that was stationed in Watford, near London, England. On June 7, 1944, the day after the D-Day invasion of Normandy, he was sent to France to work in a casualty-clearing station. He then served in a Belgium hospital, until coming home in January 1946.